Rose Studios is an audio oasis in the desert, located in El Centro, CA, “where the sun spends the winter.” Studio A is an exclusive, private recording studio with an atmosphere crafted to support your creativity and equipped with the technology to capture your finest performance. The recording studio complex is easily accessible by way of Interstate-8. 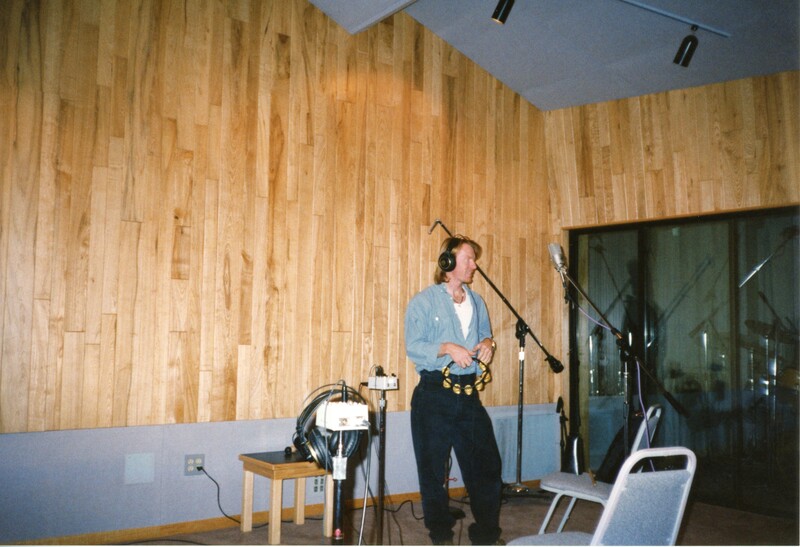 The recording studio is 14 miles north of Mexicali, Mexico, the capitol of Baja California, 60 miles west of Yuma, Arizona, 120 miles east of San Diego, California, and only 3 miles from the Imperial County Airport. There are ample restaurant and hotel accommodations located within a two mile radius of the recording studio. Rose Studios is away from the hustle and bustle of the big city, limiting distractions allowing freedom to concentrate solely on your music. 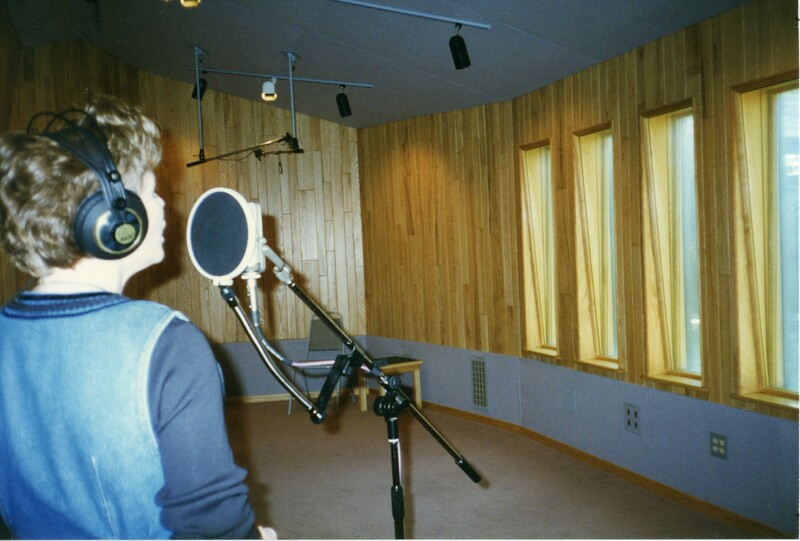 “The recording studio complex is designed for three recording studios, A, B and C. Recording studios B and C are upstairs. 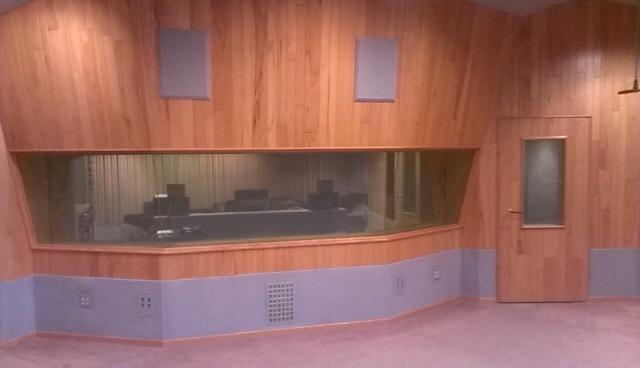 Studio A is the only one of the recording studios that we are using for recording sessions at this time and is shown in the photos. 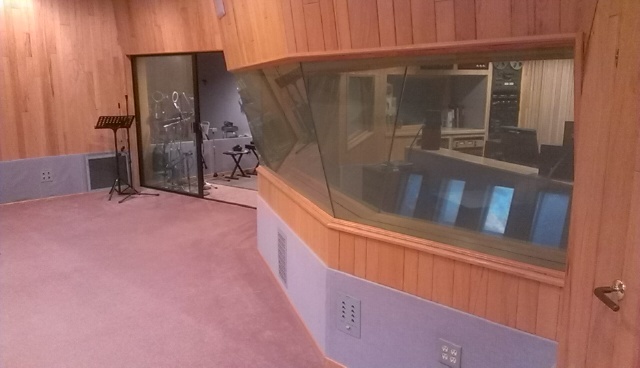 3/9/19 Update notice: We are making progress on new upgrades and changes including totally replacing the Studio A central air conditioning system, totally replacing the Studio A Control Room central air conditioning system, major computer software and hardware upgrades, some maintenance, ect, ect, ect. 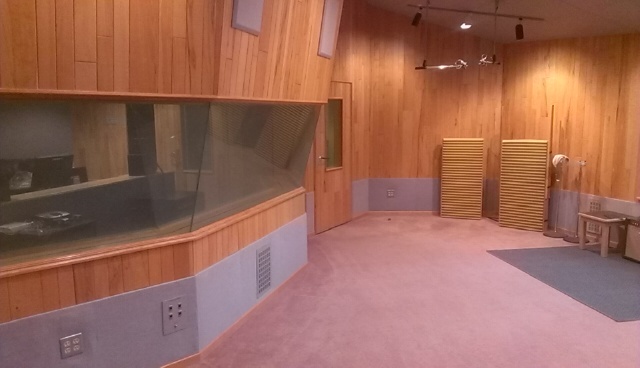 Do to these changes and the complexity of recording studio requirements for doing things the studio is not open at this time and we will post on this site when available for recording sessions. Please contact us for any questions. This is only a partial list to give a little info on some of the gear in the studio with a few comments. Equipment is subject to change as the studio strives to improve. The all-tube Manley VoxBox is one of the best recording combinations available today. The Voxbox is a combination mic preamp, opto-compressor; mid Pultec equalizer, and peak limiter/de-esser, and it’s not just for voice; it’s excellent on about everything. The studio has seven original vintage Neve modules in the form of 1272 mic preamps. Here is a description of their characteristics: They are known to sound amazingly thick and smooth giving a really fat sound. It seems to add sub harmonics to the low end, which makes the bottom end sound huge. It smoothes the top end which gives the highs a silky sheen. As well the 1272 compresses transients a little bit. It is a smooth, fat, larger than life sound. 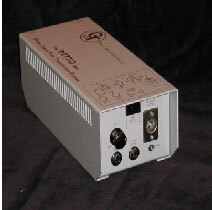 There have probably been more hits recorded through Neve mic preamps than any other mic preamp. With the re-design of the 3124…The circuit is still the original 312 mic pre-amp card, with all of the stuff hooked up for you. ..Many have tried to copy it, but it still wins the shoot outs!!! API preamps are classics and everyone uses them. They are punchy, have great bass and have a clear, extended top end. It is a powerful “in your face sound” and they don’t compress transients. The low end is tight with good attack. Compared to the Neve 1272, the API’s tone is tight and punchy, and the Neve 1272 is amazingly thick. The API’s HF is more detailed, and the Neve’s are smoother. The Drawmer DL241 Dual Channel ‘Auto-Compressor’ highlights the beginning of a new generation of dynamic processors which set new standards of sonic excellence. Its sophisticated design produces a smooth, transparent and warm sonic performance. 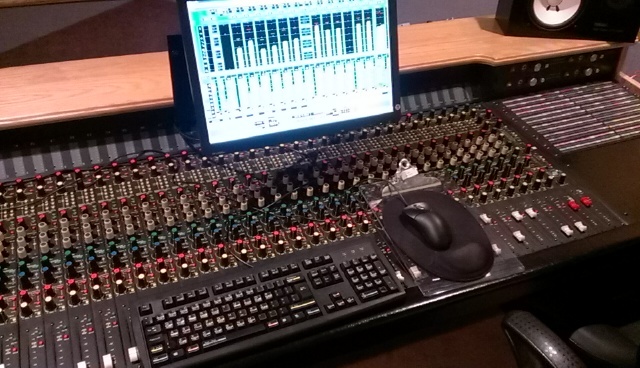 One of the studio racks includes two of the Drawmer DL 241s as shown below and also contains their DS 404 Quad gate. The ADL 1500 tube compressor by Anthony Demaria Labs is an all-discrete design providing phenomenal dynamic range with a clear, punchy, warm, sound! Its “invisible” compression has made the ADL 1500 a very in-demand item. Each unit is hand built with the very finest workmanship available. It has that “Fat” sound. Also available is the Anthony Demaria Labs Stereo Tube Direct box, and the Groove Tube Ditto tube direct box both shown below. 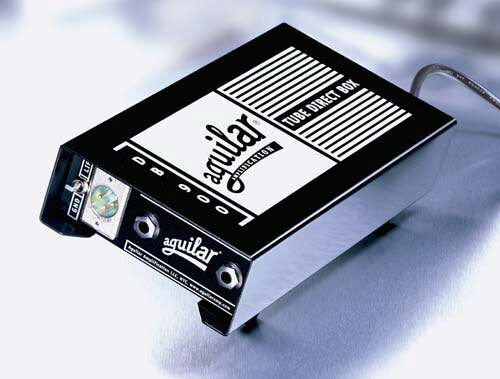 The Aguilar DB 900 Tube Direct Box is available for sessions. It has an ultra pristine, minimalist audio path with no gain boost; so combined with a high-quality mic preamp, the Aguilar DB 900 exhibits all of the audiophile qualities one could hope for in a piece of pro-audio gear, delivering a clear, detailed, tightly focused, and well-balanced sound from deep lows to airy highs. The DB 900 is a favorite DI for recording electric bass guitar and synthesizer. On bass, the DB 900 offers the best of all worlds: perfectly balanced tone, low noise, a clear top end with truckloads of nuance and air, and an extended, tight bottom. You can clearly hear the 12AX7 tube working its magic; electric bass sounds very rich and warm through this awesome DI. On a direct box shootout with synthesizer pads, the Aguilar DB 900 dominated the field, offering by far the richest, most resonant, and clearest tone of the units tested. 4) 421-U-4 (the older ones with “that sound”). This is not even close to a complete list of recording studio equipment but is here to give an idea of some of the pieces that could be used on a session. 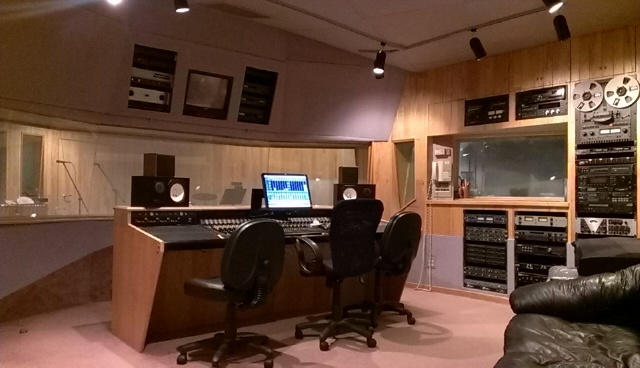 The biggest finest piece of equipment is the recording studio itself. 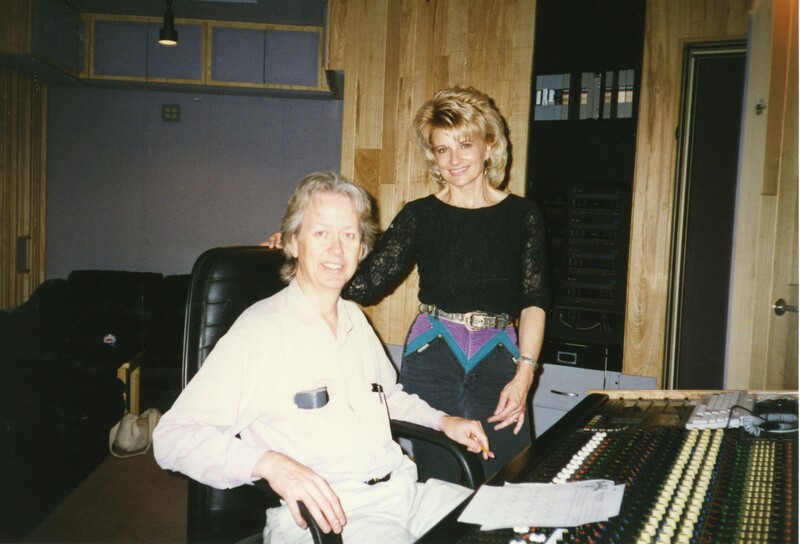 There were many years of in depth consultation with some of Americas best and international acousticians and designers of recording studios prior to the recording studio remodel. 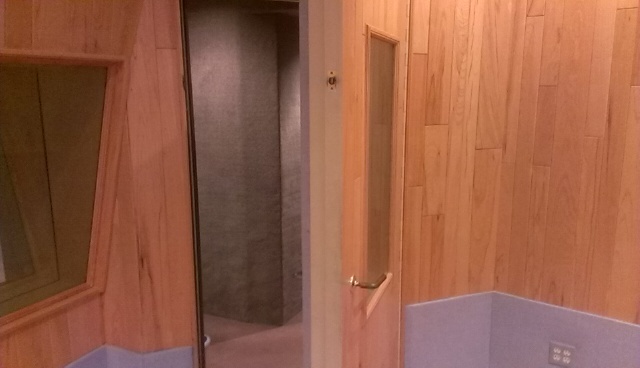 Craftsmen have labored thousands of hours to make Rose Studios an ideal destination to record your music. These are typical steps in recording a band. Other types of recordings use different steps but follow a similar process. 1) Preliminary work: The engineer gets session information before the session date. 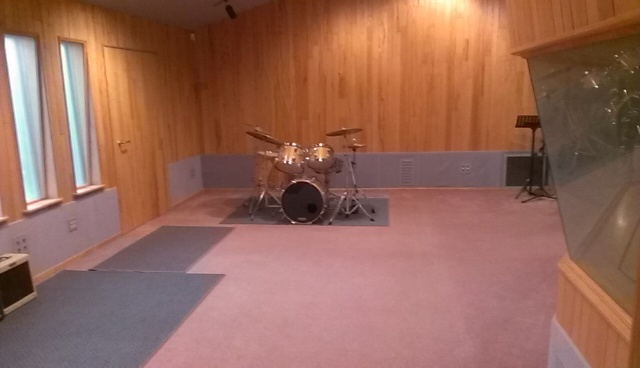 He configures a rough room layout considering the instruments possibly having to move equipment out making room for the positioning of musicians and different instruments. Microphones, stands, cue boxes, cables, and anything anticipated to be used for the session is prepped for the session. 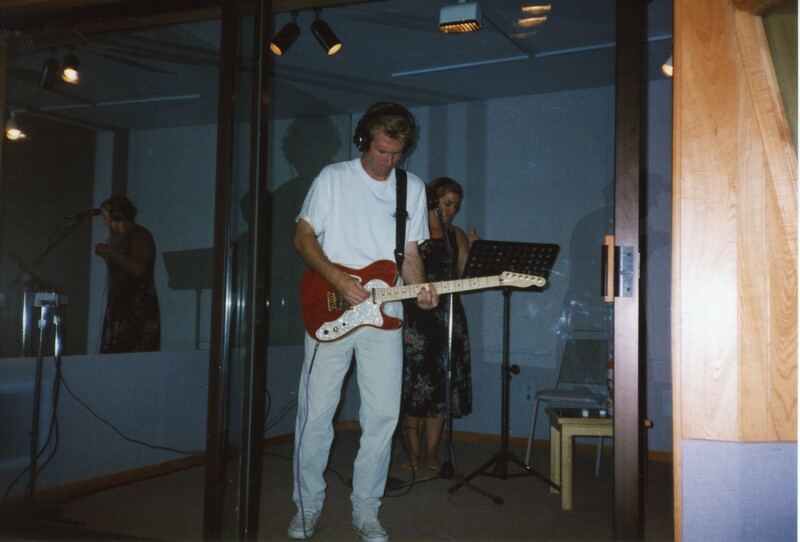 A recording template is built for the first song ready to be filled in when the band arrives at scheduled session time and starts on item 2) below. When possible the preliminary work is done a day in advance. 2) The setup of instruments: including tuning, microphone placement, making track assignments, general patching to recording and outboard equipment, level adjustments, and sound check. 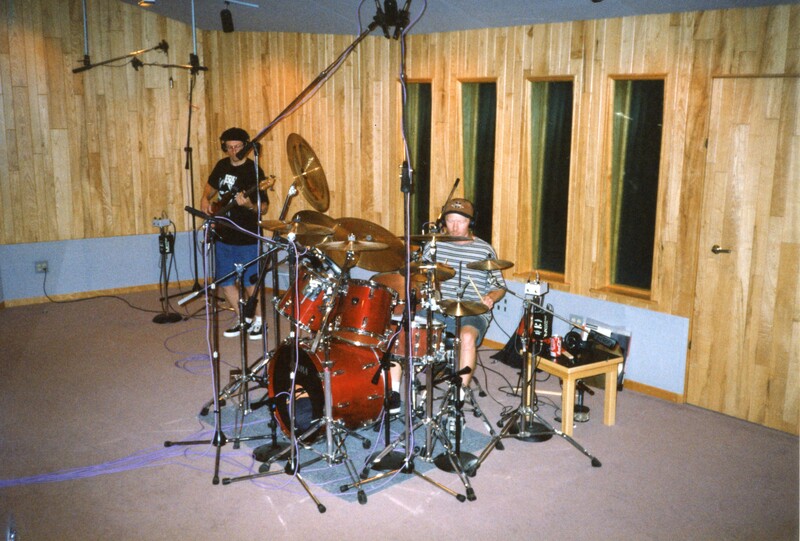 3) Recording basic tracks: typically a rhythm section with drums, bass, guitar, and or keyboard with a guide vocal all recorded on separate tracks. 4) Recording over dubs: includes listening for and fixing any mistakes and adding additional parts including all vocals and solos. 5) Mixing down: All the recorded tracks are mixed into the sound field balancing frequency range, dimension, panning, volume and tone including some enhancing with processors. Tracks may get some cleaning up, repair, editing or additional musical magic added. The mix down blends all this together to create the complete sound of the song. 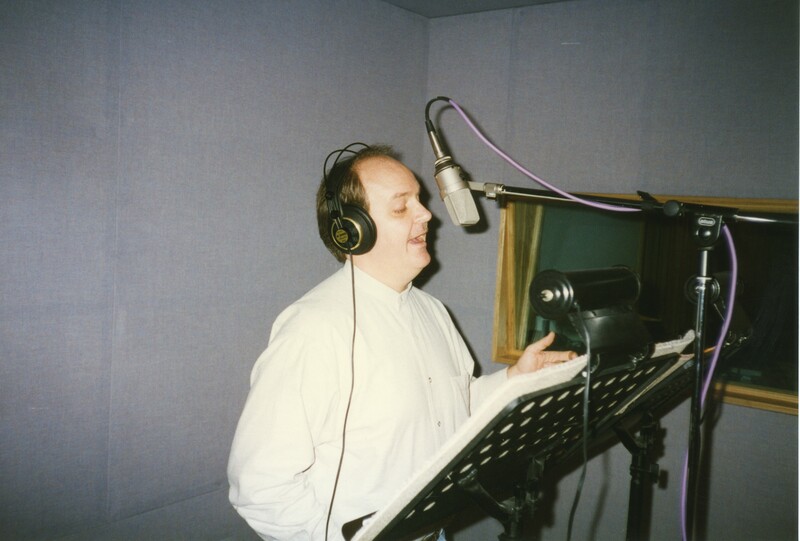 For high quality this is usually the most time consuming and a very critical phase of the recording process. 6) Mastering including editing and sequencing: Mastering is taking the stereo mix and putting the final polish on it. It consists of evening out levels, pumping it up a little and possibly overall equalization. Editing and fades are involved, sequencing the songs in order and making the CD master. 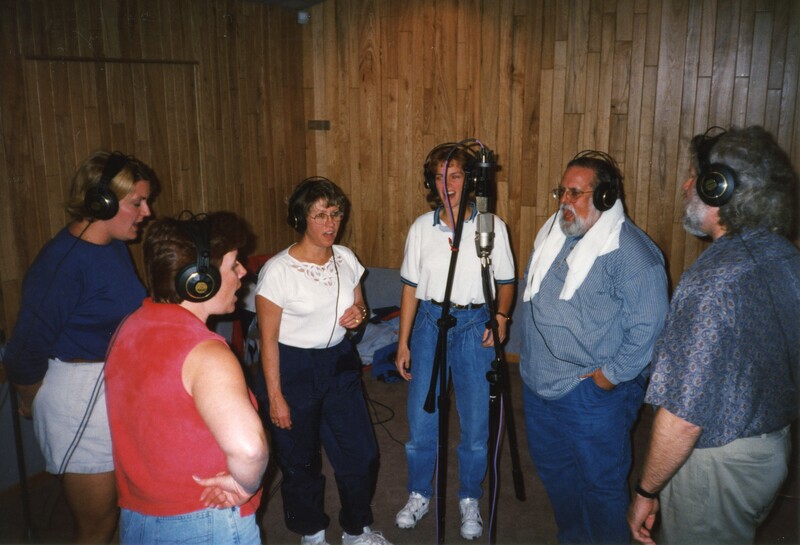 A demo recording can play a major role in many aspects of your being a successful musician. When you want to sing or play somewhere new, your demo is your calling card and the key to opening doors. This could be all they know about you and what they base a decision on. Your first impression is vitally important and a bad, unprofessional demo with mistakes will close doors. You don’t get a second chance to make a first impression. The critical difference in getting positive results projecting a professional image is to capture your best performance with excellence. Demos need no more than 3 songs unless more are requested. If your budget is limited it is better to do 1 song very well than 3 not so well. A good medium is to pick your best 2 songs that are different enough to show some diversity. All that’s necessary on a demo is a clearly printed label on the CD or recording media itself with your contact information. How much does it cost to record a song? How long does it take? There are many variables involved such as how many times you go over your part until you are pleased with your performance. Three times or thirty three times? Multiply that by the amount of parts in a song and the number of songs you will record. One estimate for a simple arrangement with a well-rehearsed 4 piece group would be 6 hours per song (loosely figured at 1 ½ hours for every finished minute of music). Others say an hour per finished minute to track and for every hour of tracking figure 2 hours to mix. For a 3 ½ minute song: 3 ½ + (2 x 3 ½ = 7) = 10 ½ hours working out to 3 hours per finished minute. More time, especially in mixing, usually means better quality. Many engineers not only mix on a different day but will only mix one song a day and take the whole day. There is also the option to remix a song again and have many versions. Mastering a complete album with no major problems averages about 45 minutes a song. One song alone would take longer. Sometimes we find ourselves going very fast recording and mixing towards the end of the day or session. Maybe 3 songs in 9 hours, but this is not the ideal way to do it. I consider these rough mixes even though some time has been spent on them. The best mixing sessions are done on a different day with fresh ears and lots of breaks interspersed throughout the mixing. One of our fastest band recordings was with six amazing old jazz guys who had probably been playing all their life. They did 14 songs, some instrumental, some with vocals. Total time spent was 18 hours on 3 different session dates. Here is the approximate time breakdown: 6 hours recording, 8 hours mix, 4 hours edit & master. Steely Dan was known for spending a year recording an album and their popularity and reputation shows it worked for them. Some gear choices possibly used in recording and mixing can increase the time spent. With the technology we have we can capture your best performance and possibly even go beyond that. There is a balance between being too rushed to do a good job and knowing when to stop. Some musicians can be their own worst critic and hit a point of diminishing returns. You don’t want it to become endless. Part of a producer’s job description is to say it is finished and time to move on to the next project. For some people “how long” may mean a song in 3 or 4 hours, for others 3 or 4 days, and in some cases 3 or 4 months. The big question: “How long does it take?” is closer to the impossible question. I hope this gives you some helpful insight. Bottom line: time spent on the right things with a good engineer increases quality.